Beautiful map of east Frisian islands and the northwestern tip of Germany. With people in local costumes. Nicely ornamented inset of the Eems estuary. Based on a manuscript map of Jan Bloemaert or Johannes Florianus. 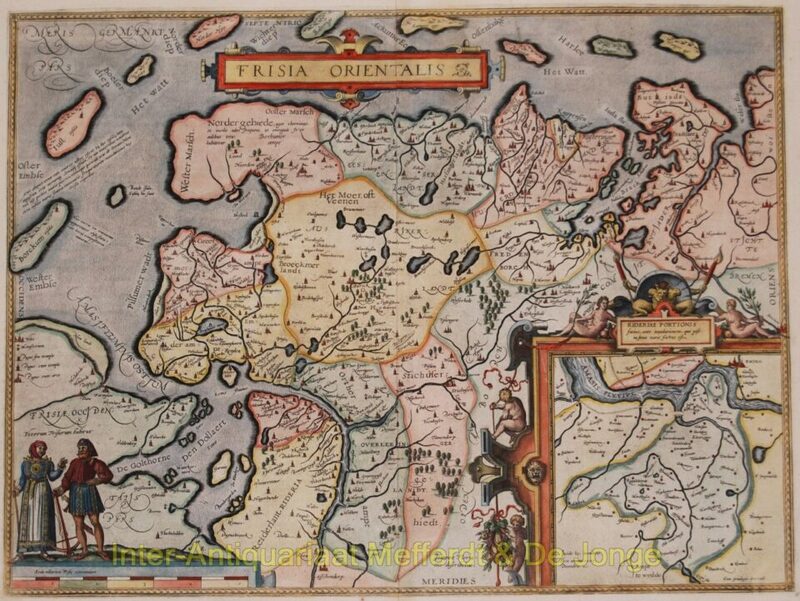 Published by Abraham Ortelius in Antwerp 1598. Coloured by a later hand. Verso: French text. Size: 37,7 x 50,2 cm.